Pizza is for sure one of my top 5 most favorite foods. If I was deserted on an island and could choose only one thing to eat every day, it would be pizza. The dough, the cheese, the toppings….there’s just so many good things that all happen in one slice! I ran across this recipe on Pinterest from Spache the Spatula and thanked my lucky stars it’s fig season. I didn’t get introduced to figs until recent years but immediately fell in love. The idea of pairing them with fresh mozzarella and prosciutto got my taste buds tingling. And they weren’t disappointed. Everything complimented each other so well. I didn’t use the balsamic glaze on the whole pizza, just tried it on one slice and liked it a lot, but even if you don’t use the glaze, the pizza stands well on its own. The dough recipe is very basic and tastes great. 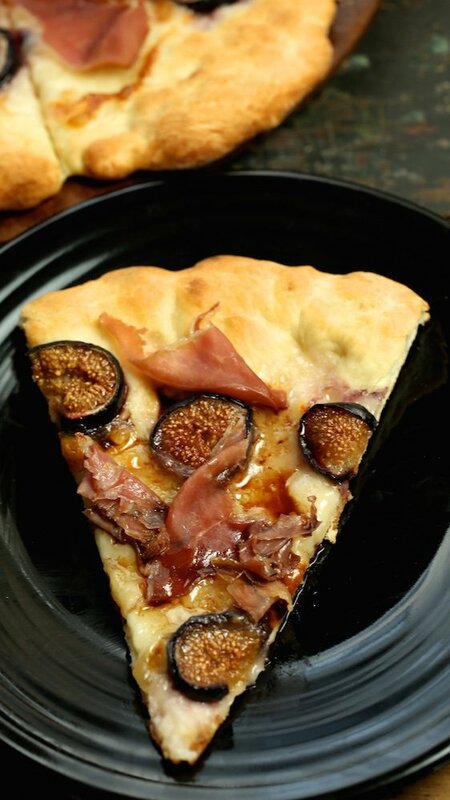 I like my dough a little less crispy so next time I would probably decrease the temperature of the oven but other then that, I was highly satisfied with this recipe and hope I can make another one before the figs disappear until next year! 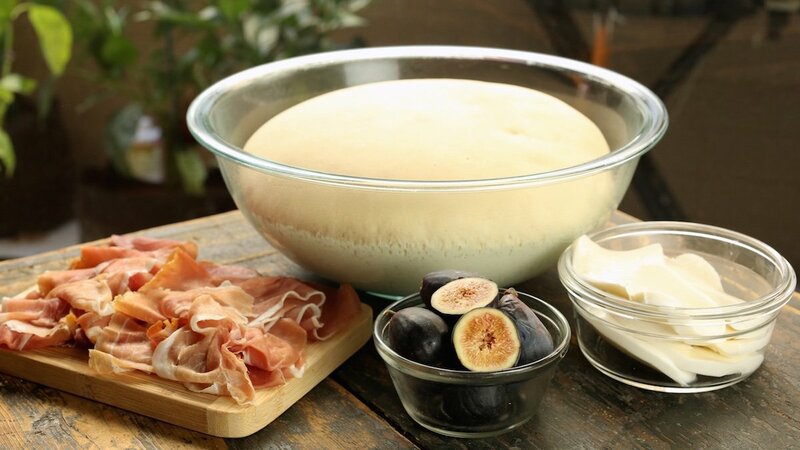 Coat the dough with olive oil and lay out the slices of mozzarella so they are not quite touching each other. 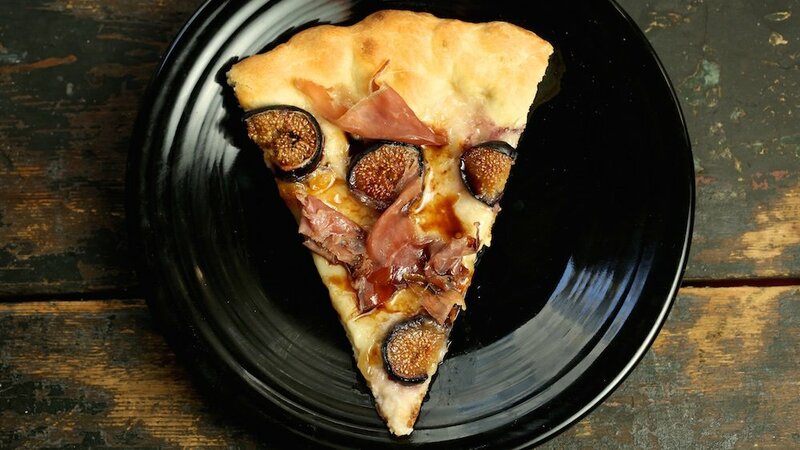 Place the fig slices between the cheese and sprinkle with salt and pepper. Slide the pizza onto your pizza stone and bake for 10-15min, until the dough is golden brown. 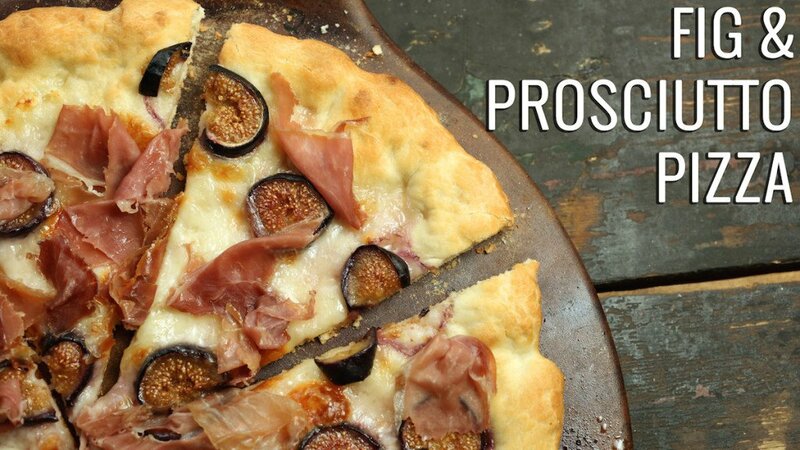 Top the pizza with prosciutto (torn into pieces ) once you’ve removed it from the oven, right before serving. Reduce the balsamic vinegar, wine, and sugar into a glaze and drizzle on top of the pizza if you so choose.